Robert Dean Horn passed away peacefully on September 12, 2018, at the age of 59. Dean was born on April 4, 1959, in Jasper, Texas, to Robert Glen and Edith Horn. He graduated from Forest Park in 1977. He married Susan Miertschin, in January 1979, a story lasting 39 years. Dean went to work for Santa Fe Railroad in 1978 as a mechanic, welder, and crane operator until retirement. His children remember their daddy as the most kind hearted, loving, patient, forgiving, strong, loyal, generous man who gave encouragement to everyone. He loved the outdoors and was an avid sportsman. Dean was a God-fearing man who taught his boys to live by the Lord’s rules. 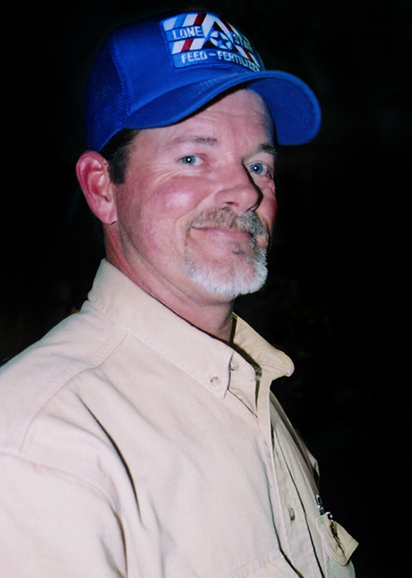 Dean was a family man who cherished his family and friends. Dean and Susan were always traveling with the kids between sports fields, deer lease, birthday parties, and vacations. He loved spending time with his children and grandchildren whether it be hunting, fishing or sitting on the back porch. Dean is survived by his wife, Susan Horn; children, Andy Horn and his wife, Trisha, of Marion and Patrick Horn and his wife, Tori, of Georgetown; four grandchildren, Ethan, Addison, Olivia, Freya; brother, Gary Horn and his wife, Leah, of Silsbee. He is preceded in death by his parents, Robert Glen and Edith Horn of Silsbee. If you asked him today, “What is your most prized accomplishment in life?” he would quickly answer without thought, “My boys, and the fine men they have become”. A gathering of Mr. Horn's family and friends will be from 5:00 p.m. until 8:00 p.m., Saturday, September 15, 2018, at Broussard's, 1605 North Major Drive, Beaumont. His funeral service will be at 2:00 p.m., Sunday, September 16, 2018, at Broussard's. We are so sorry for your loss. You all will be in our prayers. Susan - I am so sorry to hear of the passing of Dean. I haven’t seen y’all since I was a kid. You have a beautiful family. Many prayers! Susan, my prayers are with you and your boys. Wish I had something magical to say to ease your pain and loss! Please know that my thoughts and prayers are with you in this most difficult time. May you find strength in places you didn’t know you had it! Love and big hugs! Susan, Andy and Patrick words can not even begin to express how sorry I am for your loss. However, I know you all are proud of Dean! Such an amazing man! A calm spirit and always a voice of reason! I love you and will be there in the coming weeks ! prayers. I am so very sorry. God bless you and give you strength. Dean's life is continuing in eternity, remembered as he was; Our sadness but for a season. Heartfelt condolences to you all from our branch of the Rose brood. Susan so sorry for your loss... Prayers from the heart to you and family. Susan, so sorry to hear about Dean. My prayers are with you and your whole family. Praying for God's love to comfort you. Our deepest condolences to the entire Horn family for the passing of such a wonderful man. The memories we have of Dean will stay in our hearts forever. Susan and Family, So sorry to hear about Dean. My thoughts and prayers are with you. Rest in peace Dean. Love and Prayers to Susan and Family. Sending healing prayers and comforting hugs. I have so many wonderful memories of our fishing trips. Love you guys so very much. Our deepest condolences to Susan, Andy, Patrick and the entire family. Rest in peace Robert Dean.